When it comes to some extra flexibility and durability with focused and distraction-free wireless Earbuds, the Plantronics Backbeat Series Bluetooth Earbuds offers superior strength with a behind-the-ear design and comfy Eartip. These Earbuds are ultra-lightweight that only thing which reminds us of their existence on our ears is an exceptional quality of voice. These wireless Earbuds are sweat proof and water proof to make them useable in all severe conditions whether its peak communication time in offices or you wear them running at the track or on a roadside, the open Eartip design of wireless Bluetooth Earbuds lets you hear the sounds around you. The Plantronics Backbeat Series Wireless Earbuds gives you six and a half hours of non-stop listening, sweat proof covering, and you can keep the music going, wherever your day takes you with just a single charge which is almost equal to five days of your workout or a full working day at the office. These Earbuds are comfortable and frivolous enough that they don’t bounce back if you’re running with them. With so many exciting features like the fit at ease, safe and sound, revitalizing colors, and contemplative finish makes it a best Bluetooth Earbuds for all kind of communication and sports activities. 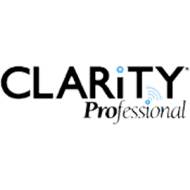 These classical Earbuds by Plantronics can end your hunt for best Wireless Earbuds and readily available from Telegiants, as we are the headsets expert and one of the Plantronics distributors since 1964. 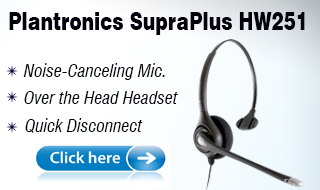 All products available at Headsetzone.com with an extended warranty of lifetime support and 30 days money back guarantee, just to give you complete satisfaction. The Plantronics Car Charger Micro USB is the need of current era and Plantronics grab this opportunity with this latest invention in the field of headset industry. The Plantronics Vehicle Charger Micro USB is compatible with almost every model of Plantronics and can be attached to every car for charging purpose. The Plantronics saves your headset battery from dying, as your headset can be charged anywhere while you are driving. 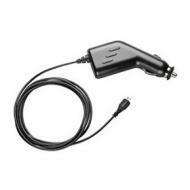 The car charger consists of corded Micro USB to directly plug into your headset. Plantronics Car Charger makes sure that your headset is always charged with this handy accessory by just attaching it in cigarette lighter slot. 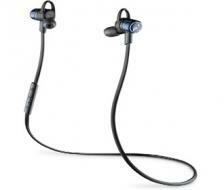 The Plantronics is refining the line and introduces the Plantronics Backbeat GO 3 Cobalt Black Bluetooth Earbuds. The Plantronics Backbeat GO 3 Cobalt Black Wireless Earbuds is the latest addition to the headset range of Plantronics. The Plantronics Backbeat GO 3 Wireless Earbuds consist of both technologies Bluetooth and wireless. Plantronics Backbeat GO 3 Bluetooth Earbuds is quite light in weight, compact and small ear buds with built-in Bluetooth technology. 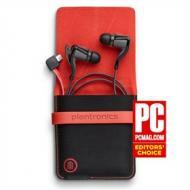 Plantronics BackBeat GO 2 Black Headphone are incredibly small and amazingly light in weight. These headphones are wireless Earbuds with charging case. 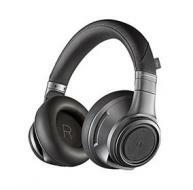 Plantronics BackBeat GO 2 Black Bluetooth Headphone with Charging Case helps you to connect with smartphones and tablets for calls, music, and movies. Its Earbuds are very comfortable and easy to use. Ear buds are resistant to moisture, sweat, and spill with its p2i coating. These headphones are designed in a way to slip inside your pocket and offers portability. Its long battery timing lets you enjoy your favorite music up to 4.5 hours of listening and 5 hours of talk time. These headphones make call management, volume adjustment and activation of Siri easy through its inline control features. Plantronics BackBeat GO 2 White Headphone are amazingly light in weight and its white color makes it more elegant. Plantronics BackBeat GO 2 White Bluetooth Headphone with Charging Case is an outstanding technical device which let you to enjoy your music or calls free of any disturbance and these headphones are compatible with all Bluetooth devices. Its Earbuds are very convenient and easy to use. P2i protective coating of these headphones makes them moisture, sweat, and heat resistant. These are designed in a way to slip inside your pocket, so they are easy to handle. You can enjoy your favorite playlist or podcasts with its long battery timing. Progress in the field of technology has produced numerous fruitful products that are serving us in many ways. 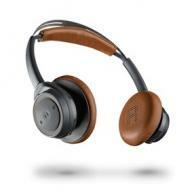 Plantronics Backbeat Sense Black Espresso Bluetooth Headphone is the evidence of such successful mechanical advancements. The Bluetooth device is extremely light in weight and is further designed with multi-point Bluetooth connectivity to facilitate more than single connections. You will meet a comforting experience of listening to your favorite music for about 18 continuous hours. The smart technology has provided you with a headset that is cordless, further engineered with long lasting battery timing and a deep sleep mode of 180 days. The wireless streaming is automatically turned off when you put off your headphones and vice versa. 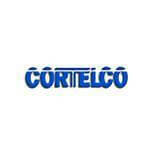 Technology has benefited us in unending ways as newer products are presented in the market every day. 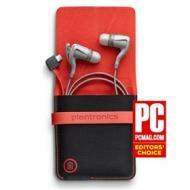 A similar kind of highly advanced device is Plantronics Backbeat Sense Special Edition Wireless Headphone. This special edition Bluetooth headphone set is impressively light in weight studded with multi-point Bluetooth connectivity. 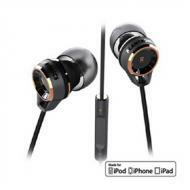 Moreover, your headset is characterized by amazing battery timing having a standby time of 21 days. The strong battery power can carry wireless streaming for about 18 continuous hours and a deep sleep mode for 180 days. Your technically enhanced and transformed gadget is built with noise canceling features, passive noise blocking, two mics and digital signal processing. You can enjoy un-interruptible music with Plantronics Backbeat Pro plus Bluetooth Headphone with 330 feet range, through up to 24 hours of continuous music streaming and a nearby audio cable, you can have the music and movies going as long as you like. It comes with Hi-Fi USB Adapter for your computers that make the music experience more astonishing. The Plantronics Backbeat Pro plus Wireless Headphone structures On-demand Active Noise Canceling (ANC), OpenMic, automatic music play/pause when headphones are put on/removed makes it a perfect package and your first choice. Your Device can go in hibernation mode or in sleep mode when you not using your device or away from device. The Plantronics products are always a pleasure as they come with sheer innovation and quality at its best. The most demanding Plantronics products are its wireless headsets and Bluetooth headphones due to their state-of-the-art technology, aesthetics, and comfort. 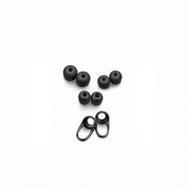 No doubt, customers always go with the level of support they have with the product, and by keeping this view in mind, the Plantronics BackBeat Go Fit Ear Tip Kit is the finest item for all of the headsets. 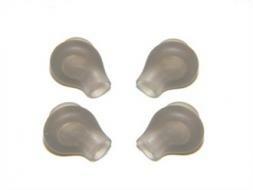 These Eartip kits are safest to use and also it is easy to replace and clean the BackBeat Go Fit Ear Tip Kit. In this age of digital technology where everyone is going to adopt technology for many good reasons and few of them are capturing every good moment on smartphones, cameras, and save them on PCs. Most of us always prefer to transfer the valuable data from all gadgets to computers or external hard drives for the purpose of privacy. 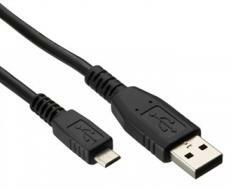 For data transferring, Plantronics Micro USB Data Cable is the best accessory to transfer the data like backups, contacts and phonebooks, music files and pictures, ringtones and games from smartphones to PCs at real fast pace. 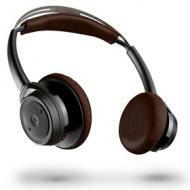 You can enjoy the Plantronics BackBeat 216 Bluetooth Headphone stereo with mic and super music with hands-free calling. It has noise dividing ear buds that boost bass levels and neodymium micro-speakers that create an enhanced audio experience. Adaptable, cushion-comfort, silicone Earbuds are designed to isolate noise yield deep, rich sound with well-balanced high and mid ranges. The Plantronics BackBeat 216 Wireless Headphone provides vivid music experience containing tangle-free cloth cord so you can adjust it anywhere with your convenience. Experience rich, deep audio through cushion-comfort Earbuds and comfortable calling hands free. You can enjoy a full range of non-stop music, movies and communication by using Plantronics wireless headphones or Bluetooth headsets. 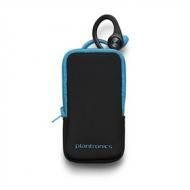 Plantronics are the pioneer who always makes the highest quality of products for their clients. It is not easy for someone to wear headphones all day long. For this purpose, the Plantronics introduced Ear Tips or the Earbuds for Plantronics headphones. The Eartip are made with sound detaching design which decreases ambient noise and vibration for high-intensity listening. Plantronics Ear Tips for Backbeat Series are changeable, replaceable, antistatic and water washable. The Plantronics Ear Tips are comfortable and tenderly and commonly fit-tight.